This unique oil painting is painted on two 36"H X 12"L canvases, which are joined securely together. 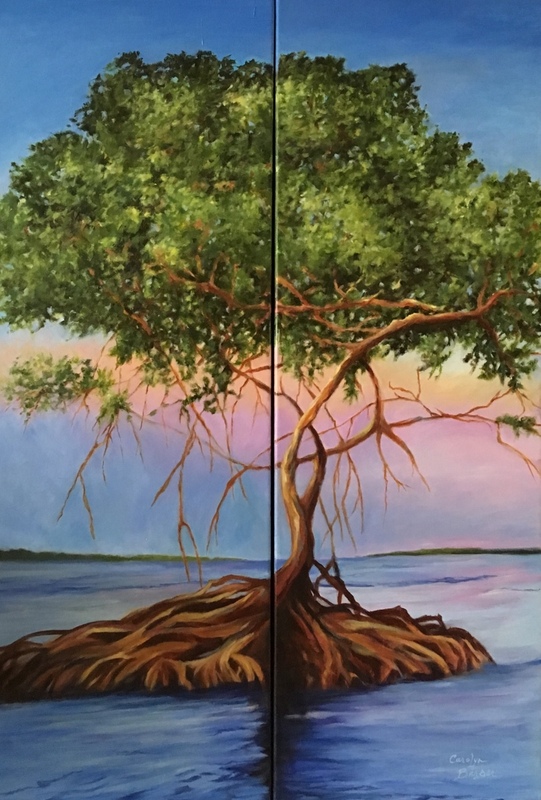 It celebrates the beautiful red mangrove trees that grow around Marco Island, protecting the island from erosion. It's twisting and turning branches with the colorful sky are part of the beauty of this special island and area of Florida.